With just a few lines of code, your .NET application can make and receive phone calls with Twilio Programmable Voice. 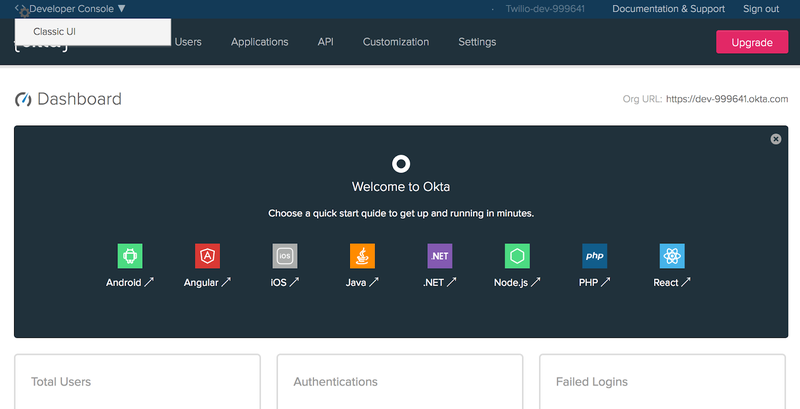 This quickstart will teach you how to do this using our REST API, the Twilio C# / .NET helper library, and the ASP.NET framework to ease development. Prefer to get started by watching a video? Check out our video on how to place and receive phone calls with C# on Youtube. Before you can make a phone call from C#, you'll need a Twilio account. Sign up here to get your free trial account or log in to an account you already have. You could use Twilio's HTTP API to make your phone calls, but we'll make things even simpler by using Twilio's official C# / .NET helper library. Let's install that next. If you’ve gone through one of our other C# / .NET Quickstarts already and have .NET and the Twilio .NET helper library installed, you can skip this step and get straight to making your first phone call. To make your first phone call, you’ll need to have .NET and the Twilio .NET package installed. If you don't have .NET Core already installed and will not be using Visual Studio, you can download .NET Core from Microsoft. The Twilio .NET Package supports the .NET Framework 3.5 and above as well as any framework that supports .NET Standard 1.4. The easiest way to install the library is using NuGet, the .NET package manager that lets you install the libraries you need. 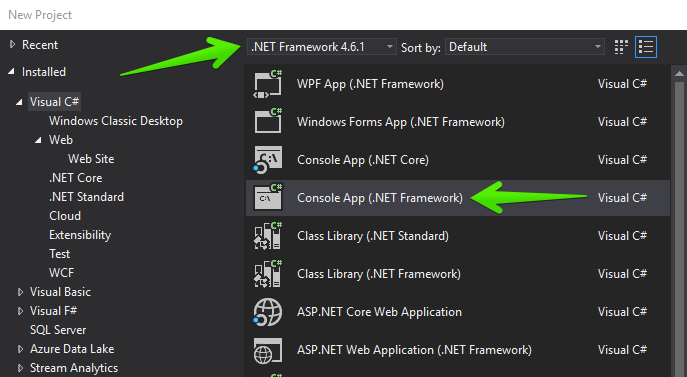 If you are using Visual Studio, select the "File" menu and choose "New" then "Project..." and select "Console App" (either .NET Core or .NET Framework will work). All set! Let's make a phone ring. Now that we have .NET and the Twilio .NET library installed, we can make an outgoing phone call from the Twilio phone number we just purchased with a single API request. Open the file in your new project called Program.cs and type or paste in this code sample, replacing the template code that's already there. The ‘url’ argument points to some TwiML (Twilio Markup Language), which tells Twilio what to do next when our recipient answers their phone. This TwiML tells Twilio to read a message using text to speech and then play an MP3. Edit Program.cs and replace the values for accountSid and authToken with your unique values. Please note: it's okay to hardcode your credentials when getting started, but you should use configuration to keep them secret before deploying to production. ASP.NET applications should use the built-in configuration system for ASP.NET on the .NET Framework or ASP.NET Core. Other types of .NET applications could use environment variables. I made the call! How do I receive them? When your Twilio number receives an incoming call, Twilio will send an HTTP request to a server you control. This callback mechanism is known as a webhook. When Twilio sends your application a request, it expects a response in the TwiML XML format telling it how to respond to the message. 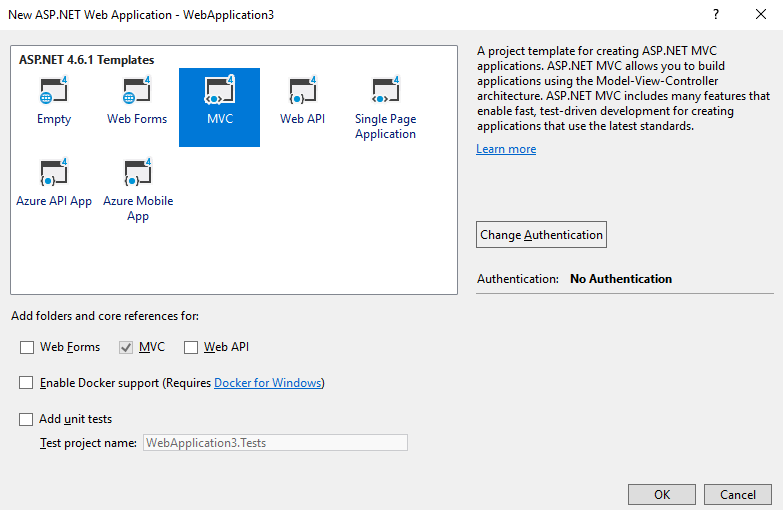 Let's see how we would build this in C# using ASP.NET MVC for .NET Framework 4.6.1. If you prefer using ASP.NET Core, check out this article. 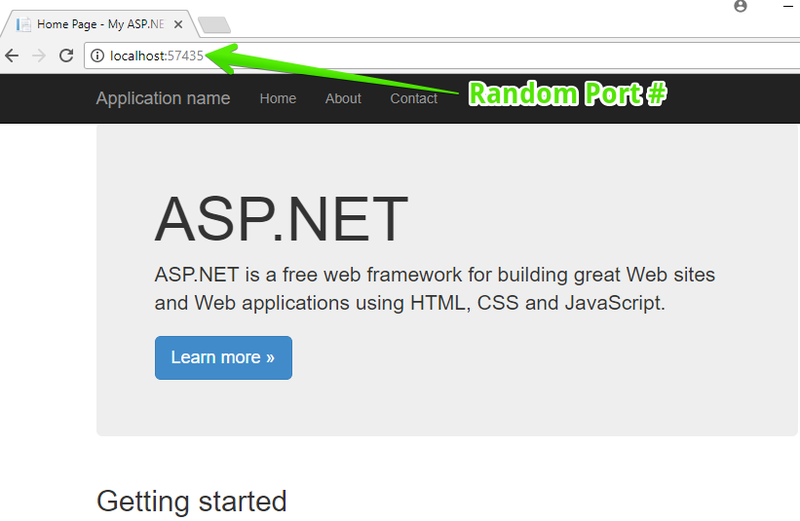 If you need to use ASP.NET Web API, we have an article for that, as well. 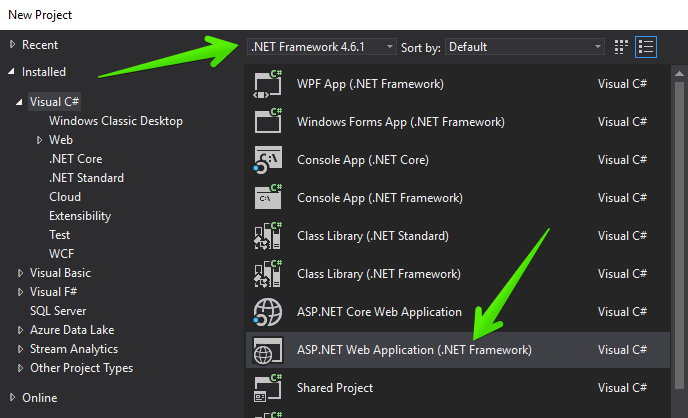 In Visual Studio, select the "File" menu and choose "New" then "Project..." and select "ASP.NET Web Application (.NET Framework)." Next, choose the "MVC" template. In the directory named Controllers, create a new Controller called VoiceController.cs and use the following code to create a server that can handle incoming calls. Run the project from Visual Studio. You should see the ASP.NET MVC home page running on localhost and a random port number. You'll need to make your application accessible over the internet. We'll show you how to set that up next so your app can receive calls. Let's set up my app to receive calls. We’ve just built a small ASP.NET MVC application to accept incoming phone calls. Before it will work, we need to make sure that Twilio can reach our application. Most Twilio services use webhooks to communicate with your application. When Twilio receives a phone call, for example, it reaches out to a URL in your application for instructions on how to handle the message. When you’re working on your ASP.NET application in your development environment, your app is only reachable by other programs on your computer, so Twilio won’t be able to talk to it. We need to solve this problem by making your application accessible over the internet. If you haven't done so already, install ngrok Extensions for Visual Studio. For more info on ngrok, including some great tips and tricks, check out this in-depth blog post. After installing the Visual Studio extension, you will need to restart Visual Studio and reopen your project. Start your project again to bring up the home page. Then, while this is running, select "Start ngrok Tunnel" from the "Tools" menu. Log into twilio.com and go to the Numbers page in the Console. Click on your voice-enabled phone number. Find the Voice & Fax section. The default “CONFIGURE WITH” is what you’ll need: "Webhooks, TwiML Bins, [etc.]" In the “A CALL COMES IN” section, select "Webhook" and paste in your URL: in this quickstart step above, it would be: https://354f5b25.ngrok.io/voice - be sure to add /voice at the end, as this is the route to your VoiceController class. Make sure you are running your project in Visual Studio, and your ngrok tunnel is running. If you restarted ngrok, you will have to update your webhook in the console to use the right URL. With both of those servers running, we’re ready for the fun part - testing our new ASP.NET voice application! Make a phone call from your mobile phone to your Twilio phone number. You should see an HTTP request in your ngrok console. Your ASP.NET app will process the incoming request and respond with your TwiML. Then you'll hear your message once the call connects. Now you know the basics of making and responding to phone calls with C#. Our ASP.NET app here only used the <Say> TwiML verb to read a message to the caller using text to speech, but you can do much more with different TwiML verbs like <Record>, <Gather>, and <Conference>. Retrieve information about in-progress and completed calls from your Twilio account using C#.